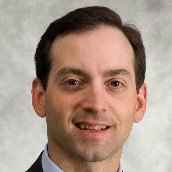 Editor's Note: This post was contributed by Michael Schinelli, CMO at UNC Kenan-Flagler Business School. 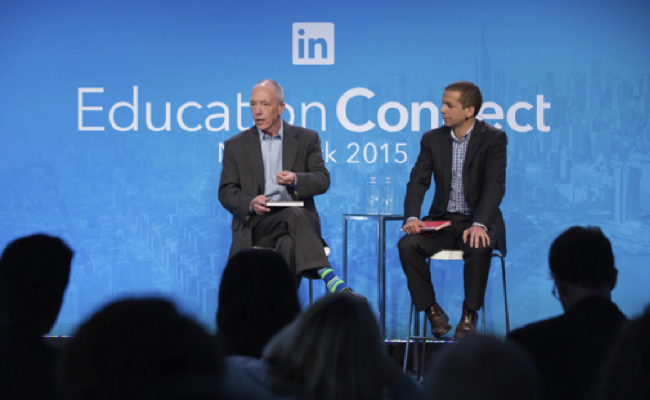 Most notable about Education Connect, LinkedIn's higher education conference held in NYC on October 15, was how it mirrored the complexity, diversity and disruption that marks today's education marketplace. Just a few years ago it would have been nearly impossible to envision the mix of players, business models and versions of the future. And, while there are different perspectives on how much and how fast education will change, what most agree on is that the revolution is just getting started. I’ve written a snapshot of the themes that dominated the event, but I also encourage you to visit the Education Connect highlights page to view the videos and experience the conference for yourself. The most innovative not-for-profit institutions are adopting sophisticated digital marketing strategies and tools, enabled by new technologies and often scaled by 3rd data platforms such as LinkedIn. From content and targeting to analytics, the array of today's tools is radically different, more effective and measurable than what even the most advanced universities had access to 5 or more years ago. But despite streamlined automation, APIs and apps, these tools, like most leaps forward, require significant know-how and dollars to be properly leveraged. They also require a fundamentally different approach to both prospect recruiting and marketing team roles and structure than the prevailing higher ed models. The concepts of lead generation, content marketing, brand safety, ad viewability and many others are generally new territory for academia. While it's easy to "sign the contract", it remains to be seen how many will embrace the strategic and creative transformation that's truly required for sustainable success. A self-described “activist” department of education focused on access, quality and assured outcomes is helping to bring both opportunity to newcomers as well as increased scrutiny and regulation around consumer protections. The U.S. Under Secretary of Education, Ted Mitchell, speaking in the middle of the day, eloquently laid out a balanced view. Like an umpire sitting above the net at center court, he presented a carefully worded vision of what he described as "parallel" markets that includes traditional institutions and pop-up for-profit players. While Dr. Mitchell was careful to not prognosticate about what will unfold or how the federal government will play its cards, it was clear that the DoE has its hands on the levers that can, in no small way, shape the landscape. Evident at Education Connect was the proliferation of for-profit entrants into the higher education ecosystem, particularly in the online degree, certification and "boot camp" space. Typically at higher education marketing conferences, there's no shortage of service providers touting email platforms, dashboards and other "add-on" tools. What was different here was the focus on education "alternatives". There seem to be 3 drivers for this. First, this wave of education entrepreneurs is inspired by the rapid ascent of the Ubers and AirBnBs of the world who have upended mature markets with the asymmetrical warfare of low overhead, mobile technology platforms and shared economy strategies. Second, perhaps sensing fiscal weakness across certain tiers of higher education institutions, they recognize the unsustainably of the rising cost of education despite (or in part because of) expanding student loan funding. And lastly, they know that consumers believe "there's an app for that", regardless of what the "that" may be. This consumer familiarly and trust with mobile is a powerful insight in a market where few established players have responsive websites, much less sophisticated mobile strategies and apps. These technologies and platforms, and how they will eventually connect to CMS and LMS systems hold the greatest transformational opportunity for education. It’s no longer a question of integrating digital into education; it’s about education in a digital world. Given all this, it's understandable why they're confident that they'll win a piece of the $500B pie that we call higher education. The good news for traditional institutions is that there seem to be as many startups looking to partner as there are aiming to compete. LinkedIn, like many technology companies having recognized the time was right to wake the sleeping giant, has recently launched an EDU vertical. This event shows the value it can bring to table by convening such dynamic and diverse stakeholders, to such an important conversation. For more on the conversations that took place at LinkedIn's Education connect, view the highlight reel. The comments expressed in this blog post are those of Micheal Schinelli and do not represent views of his organization.